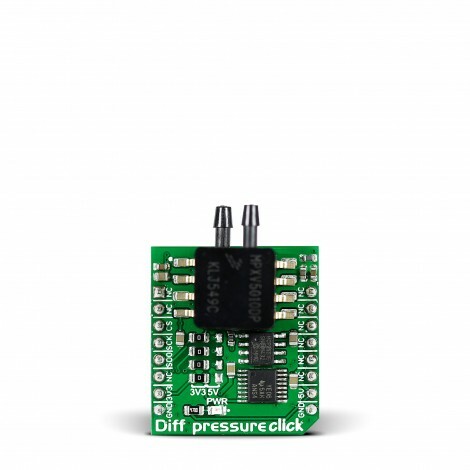 Diff pressure click carries NXP’s MPXV5010DP signal conditioned, temperature compensated and calibrated pressure sensor with two axial ports to accommodate industrial grade tubing. 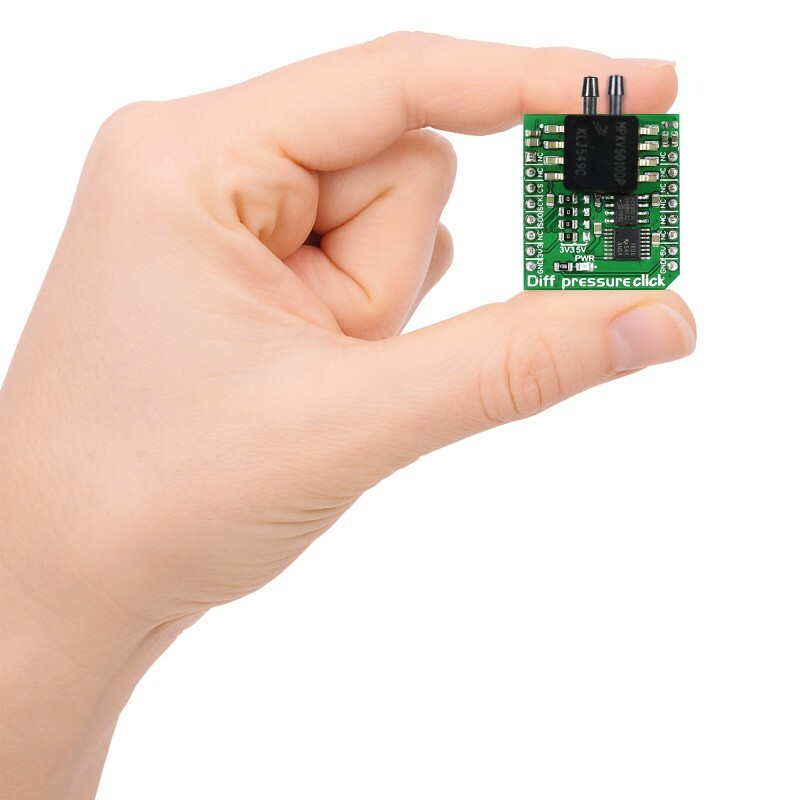 The click is designed to run either on 3.3V or 5V power supply. 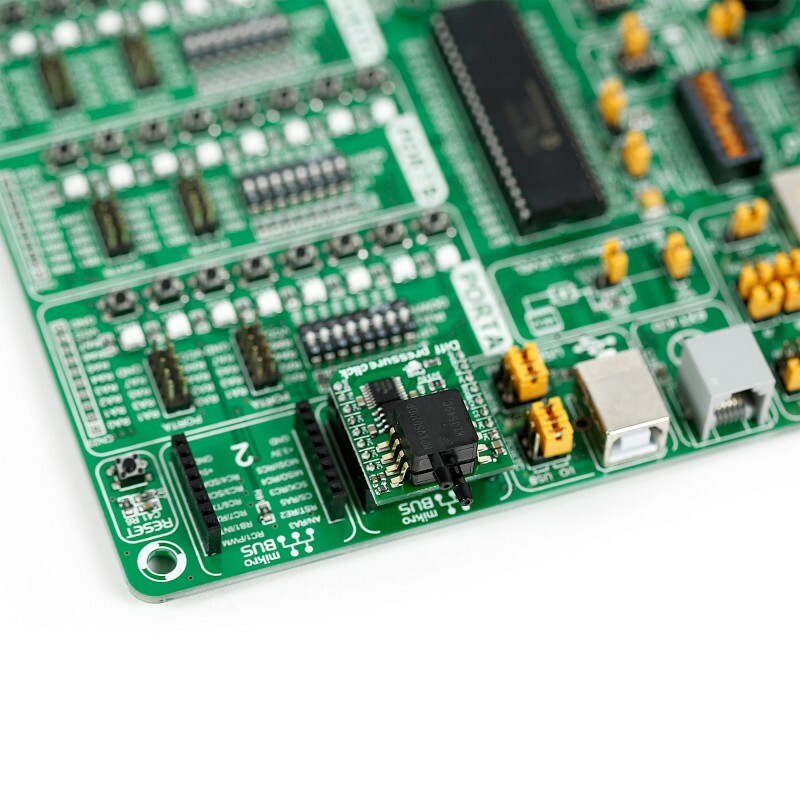 It communicates with the target microcontroller over SPI interface (CS, SCK, MISO). Diff pressure click is designed for comparing two pressure measurements. For example, measuring the difference in the pressure of gasses in a variable diameter flow tube. The two ports are designated as Pressure side (P1) and Vacuum side (P2). The sensor is designed to operate with a positive differential pressure where P1 > P2. The measurement range is from 0 to 10 kPa. In the temperature range between 0º and 85ºC, the sensor has a maximum error rate of 5.0%. MPXV5010DP IC has an analog output. 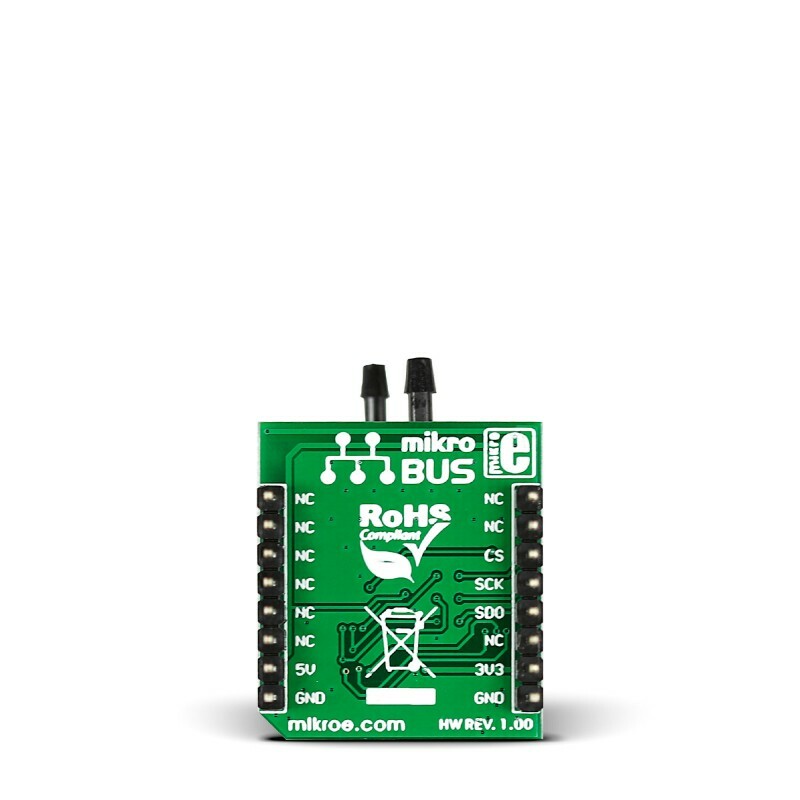 The signal passes through the onboard 22-bit ADC before being outputted through the mikroBUS SPI interface (CS, SCK, MISO). This table shows how the pinout on Diff pressure click corresponds to the pinout on the mikroBUS™ socket (the latter shown in the two middle columns). The following code snippet initializes SPI, UART and the Diff Pressure click and reads the difference between the two pressures to the UART terminal.